Your Angels are ready, are YOU? \What if you could regularly know the blessing of deep peace and abiding joy? 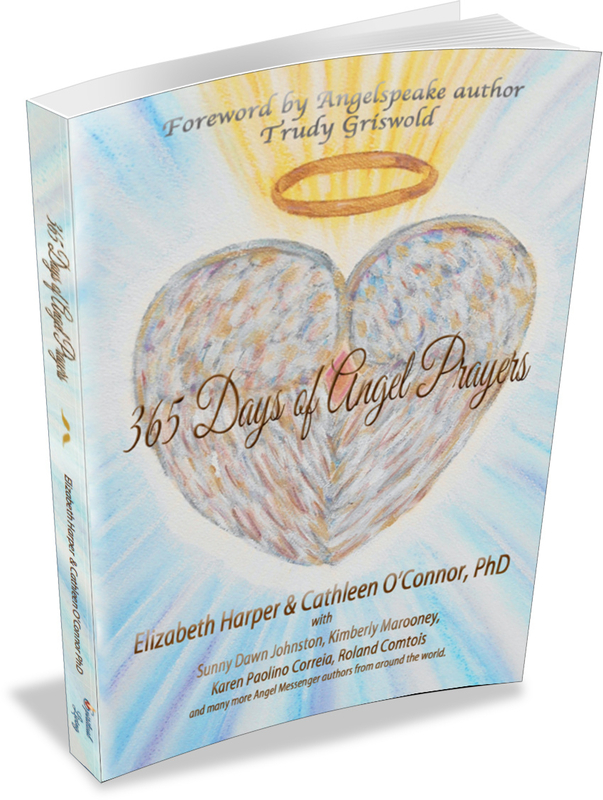 You are going to LOVE 365 Days of Angel Prayers , a multi-author anthology of daily prayers and readings written to inspire and guide you to experience a rich and continuous communion with the angelic realm. And guess what? I am one of the authors. Yes! I have joined with over 160 of my fellow Angel Messengers gathered together by my friends from Spiritual Living, Elizabeth Harper and Cathleen O’Connor, to share the loving support and gentle wisdom of the Angels. We are passionate about sharing this special book with you. 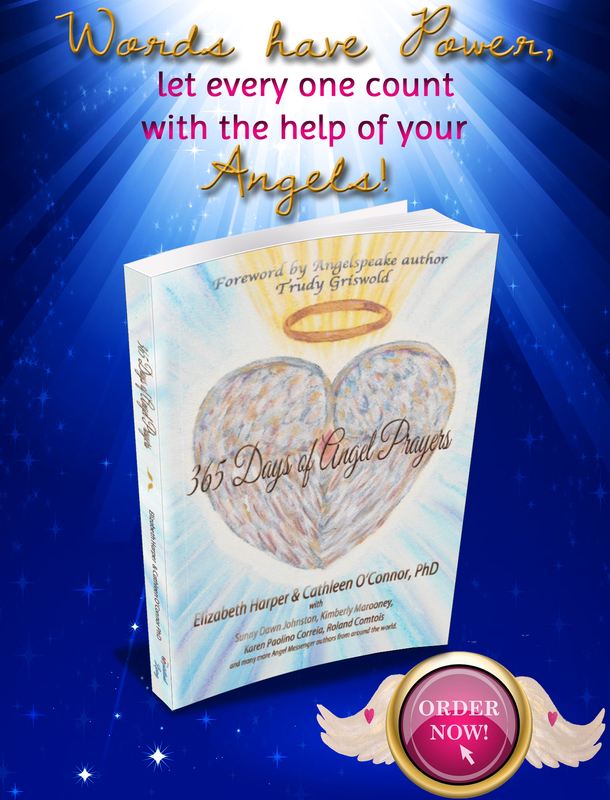 Your Angels are always with you and through the prayers, blessings, invocations, and essays in this magical book you can learn how to communicate with them. As you allow the words of Divine Guidance to wash over your mind and heart, receiving the healing inherent within them, you will begin to see that there is no one way to pray for divine blessing or assistance. Soon, you may even find your own unique words pouring out—embrace them. Remember, you are never alone, this book is a collaboration; one you are warmly invited to join. “365 Days of Angel Prayers,” is a book you will want to have at your side night and day! It will provide you with deeply satisfying spiritual sustenance and the beautiful prayers contained within offer a continual reminder of the inspiration, guidance, and solace that is always available. This is a real gem and I highly recommend it.” –Dr. Steven Farmer, author of Healing Ancestral Karma, Sacred Ceremony, and Earth Magic. It’s easy to get caught up in the busy-ness of life. As you become disconnected from your true source of sustenance, you begin to feel alone and useless. The beautiful truth is, you are not alone and you have great significance. At any given moment, angels wait to commune with you and assist you in your divine purpose and everyday tasks. Through the 365 Days of Angel Prayers you can reconnect to the spiritual realm, experience the love and light of the Angels, and open your eyes and your heart to the wonders of the divine world around you. I am thrilled to be part of this work and if you buy the book this week for a limited time only you can enter to WIN a 60-minute POWER SESSION with the book’s Angel Messenger publishers Elizabeth Harper and Cathleen O’Connor valued at $444. It doesn’t matter where you are in the world, this gift will be offered online and is accessible to anyone with a computer. Then enter to WIN here – http://www.spiritualliving.com * The more books purchased, the more entries you get. The prayers in this book can help you to live a life filled with peace, love, abundance and joy. Most importantly, your heavenly light can positively impact the lives of others. Grab your copy today! 365 Days of Angel Prayers Book is a gathering of daily angel invocations, blessings, prayers and essays written by people who work with the angels to manifest joy, healing, deep peace and love. So, if you love and want to work with the angels on a daily basis in a profoundly loving way, you’ve come to the right place!! You may have noticed that your own intuitive voice is becoming stronger and more confident. This is one of the signs of the times that you are in – times of rapid spiritual growth and the call to remembering that you are a co-creative force with the Divine. Click on the Image Below to Order Now!